We’re still more than a couple of months away from true Christmas mode, but we all know that the season – or at least the gift-giving part of Christmas – begins much earlier. In fact, if you haven’t already started thinking about what you’re going to be buying your family, then you might want to think about getting out a pen and piece of paper and jotting down ideas. Doing so will save you money, give you more options, and take the stress out of the season when December comes around. The problem most people have, however, isn’t having the will to get all the presents boxed off early; it’s deciding what presents to buy in the first place. Below, we offer some simple tips on how you can buy gifts for your friends and family that they’ll really enjoy. Say goodbye to novelty socks and other stocking staples; this year, you’re going to ensure your gifts are indispensable. When you’re thinking about what to buy a person, it’s always worth keeping in mind where they are in their life at the moment. What was relevant last year might be obsolete this year, purely because their circumstances and interests have changed. It’ll be no good buying an experience that requires the person to travel if they’ve just had a child, for example. Similarly, if one of your family members has just bought a new house, then you’ll have a treasure trove of goods to choose from. Now, we know that you’re supposed to buy a gift with the recipient in mind, but is that always the best practice? Not according to the experts, who discovered that the gifts that people most enjoyed were the ones that reflected the giver’s interest. Of course, this has been controlled somewhat; you can’t just buy something that you’d like! But if you have a literature-loving friend, then they’ll likely enjoy reading a book that is your favorite. People get stuck in their ways, and love it when other people give them a bit of a nudge in a different direction! You still have a couple of months to buy your gifts, which gives you ample opportunity to open your ears and start paying attention to what the people in your life are talking about. If they’re constantly talking about a new hobby that they’ve recently become passionate about, then there’ll be directing you to the type of gift that they want…if you’re paying attention, that is. Open your ears, and most people will tell you what gift would make them happy, albeit indirectly. Not all items are created equal. The spectrum of quality is vast, and even if you know what gift you want to get them, you might end up with a substandard version, purely because you didn’t know any better. If you want to ensure that they’re going to love the gift you get them, use a site like best products pro; there, you’ll find reviews of products. If the gift you’ve been eyeing up has been positively reviewed, you know you’ll be buying a quality item that’ll last beyond the New Year. While there are ways to save money on Christmas presents, it’s not a good idea to cut corners when it comes to product quality. You can think about they need generally, but you could think about the same idea in a more abstract way. For example, a person who works sixty hours a week might not have any need for a traditional gift; what they really want is the gift of time. Similarly, if a person has been losing interest in one of their hobbies and is looking for something new to try, then you could think about what type of activities they might enjoy and buy them the equipment to get started. Sometimes, what a person needs isn’t obvious at all, so go deeper! Everybody loves to stay busy and have one of a kind experiences that money, on paper, can’t buy. As such, if you think that there’s little by way of material items that they need, why don’t see what kind of experiences are available, and organize it for them? It’ll mean that the gift giving part of Christmas day is a little bit more low-key (there’ll be no new gadgets to play with), but you’ll be giving them something they can look forward to that will eventually become a great memory. There’s something to be said for novelty, gimmicky presents, but usually, the cons outweigh the pros. It’ll be fun on Christmas Day and maybe for a few days after, but beyond that, the gift will be relegated to the cupboard, never to see the light of day again. 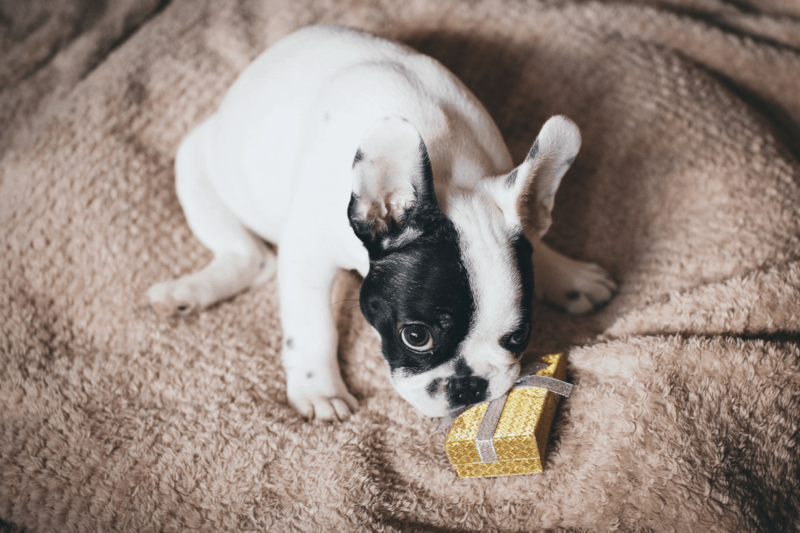 To ensure it’s a gift that they’ll really love, make it something that is long lasting, and which will make a worthwhile contribution to that person’s life. We leave trails of who we are and what we like all around us, and we don’t even realize it. Your friends and family might have a public Amazon wishlist, for example, which will tell you in no uncertain times exactly what they want to have in their lives. If not that, take a look at their Facebook profile and see what kind of things they’ve been talking about recently. If they’re sharing videos about art, then buy them an art book. If they’ve been sharing articles from The New Yorker, then buy them a year’s subscription to the magazine. Simple!